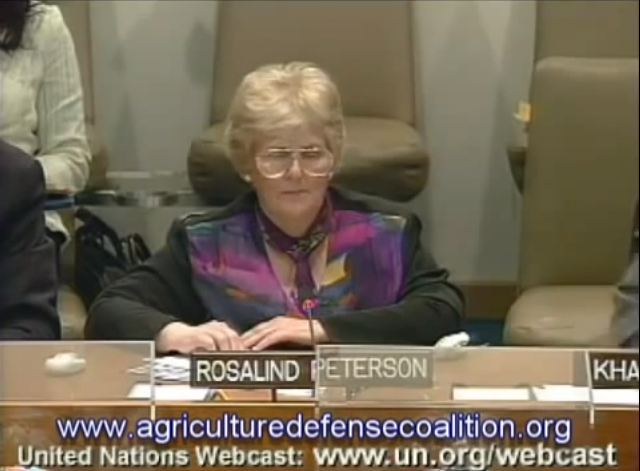 Rosalind Peterson President and co-founder of the Agriculture Defense Coalition speaks at a conference on Climate Change at the United Nations. During her speech, she brings awareness of Geo-Engineering and climate control or what some may call Chemtrails. One of the many points she brings up is the fact that these chemicals that are being sprayed in our skies is now showing up in our water. If you have ever doubted this nefarious act, please reconsider your position because this effects us all and all need to be made aware of the harmful affects.